You will be picked up at the designated point, and after that, you will be driven across the majestic and impressive landscape of the Icelandic south coast. On this trip, you will enjoy the beauty of the waterfalls, the black beaches and so much more! 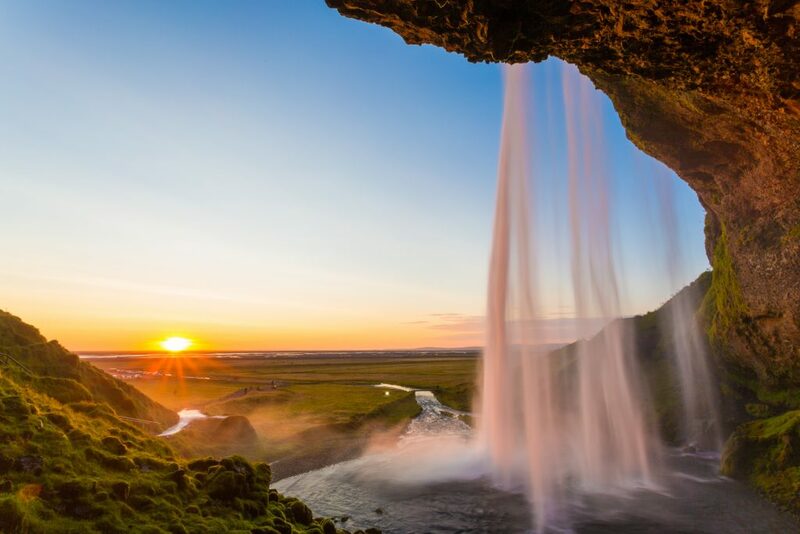 At the start of the journey, you will be made to walk under the Seljalandsfoss and on that path, you are definitely going to enjoy the popular Skogafoss. 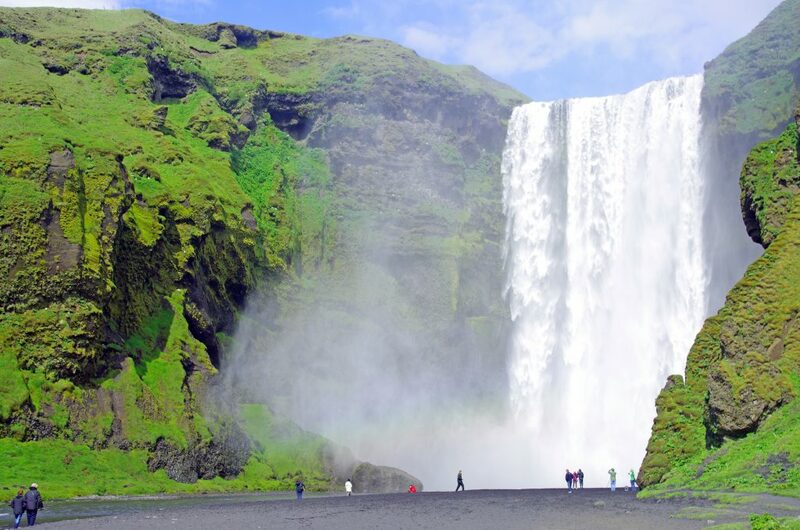 Usually, in this area, there is a rainbow which appears in the midst of the waterfall, so you’d be experiencing and enjoying this view which is always a beautiful sight to behold. From the path under Skogafoss, the next destination is towards the Reynisfjara and Vik. 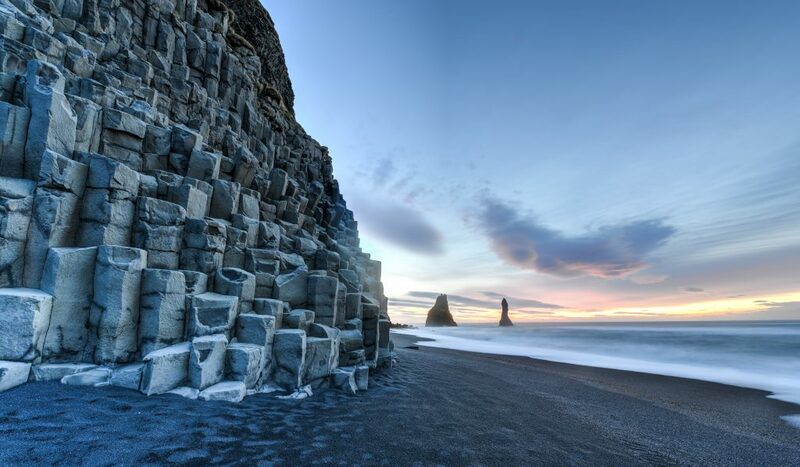 These are the places most popular for their black sand beaches, the sea stacks and the basalt columns. Upon reaching Dyrholaey (if you’re visiting in the summer), it is likely you’d see the beautiful puffins flying. However, if your visit is not in the summer, you will always enjoy breathtaking views from everywhere on the cliff. Another breathtaking stop is the blue tongue of the Solheimajökull glacier. This is a volcano still covered with ash after the eruption of the last Eyjafjallajokull. This always happens to be a wonderful stop of the tour. If you love photography, then this may be a time you’d find yourself busy, because you will be walking close to the glacier, so you can take as many shots as possible! While lunch is not included, you will, however, stop for lunch. Sea stacks of the Vik village. The Hveragerdi and Selfoss pick-up time is usually between 09:05 and 17:30, while the Return time is between 18:00 and 18:30.